PORTLAND, ME – Apr 5, 2019 – The Mariners power play scored three times while Francois Brassard made 41 saves to earn his first ECHL win as Maine stayed alive in the playoff race with a 4-2 win over the Worcester Railers on Friday night at the Cross Insurance Arena. With their loss, the Railers were eliminated from playoff contention. The Mariners used the power play to build a 3-0 lead in the first period, with Taylor Cammarata opening the festivities at 9:57. Taking a pass at the goal line, Cammarata curled the puck around Railers goaltender Blake Wojtala and in for a 1-0 Mariners lead. At 12:11 of the period, Yanick Turcotte was assessed a five minute major and game misconduct for boarding Josh Couturier. The Mariners capitalized twice on the long power play – Dillan Fox with a redirect at 14:12 from Zach Tolkinen and Cammarata with his second goal at 15:14 off a nifty pass from Michael McNicholas. The Mariners were outshot in the 2nd period, 14-4 but took a 4-0 lead when Terrence Wallin set up Nick Master. Wallin had just exited the penalty box and was fed a two-line pass from Johnny Coughlin. Wallin waited and found Master streaking down the left wing, and Master tapped home his third goal, and sixth point in six pro games. Before the period ended, Worcester got on the board as Josh Holmstrom redirected a Mike Cornell shot past Brassard, making it a 4-1 game through two periods. In the third, a parade to the penalty box ensued, but the score remained 4-1 until Matt Schmalz got the Railers a step closer at 13:03 with a wrist shot past Brassard’s blocker from the slot. The Mariners had a few chances to score on the empty net, including Cammarata with a hat trick bid, but 4-2 was the final score. Brassard made 41 saves on 43 shots for the first win of his ECHL career. The Mariners are two points behind Brampton for the fourth and final North Division playoff spot with two games remaining. They’ll need at least three points to make the playoffs, while also requiring Brampton to lose both of their remaining games (a home-and-home against Toledo). The Manchester Monarchs clinched a playoff berth tonight with a shootout win over Newfoundland. The Mariners will visit Manchester tomorrow for their last regular season road game at 6:00 PM. They’ll close out the regular season on Sunday afternoon against Newfoundland at the Cross Insurance Arena at 3:00 PM. Sunday is Fan Appreciation night. 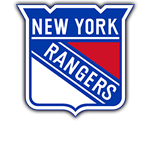 Prizes from the Mariners and their sponsors will be given away throughout the game, including autographed New York Rangers memorabilia. Tickets are available HERE or at the Trusted Choice Box Office inside the Cross Insurance Arena. The Trusted Choice Box Office can be reached at 207-775-3468.